Recent legal developments surrounding personal cost orders against rogue and mindless public officials that request or give the go-ahead for the frivolous institution or defence of litigation, is going to play an increasingly important role in South Africa’s raging war on impunity. By IVAN HERSELMAN. Dubious public officials have a history of getting away with murder when it comes to the institution of frivolous litigation, or the frivolous defence of legitimate litigation instituted against them by aggrieved parties. Because they’re able to litigate with somebody else’s money – in this case the public purse – they are happy to procure the services of high-price law firms for repeated rounds of litigation and appeals, hoping to wear down opponents who might not have the same unfettered access to resources. In July 2016, the Public Service Commission published a report on the effectiveness and efficiency of the Office of the State Attorney, wherein it found that the state loses as much as 70% of all its legal cases. However, the recent legal developments surrounding personal cost orders against rogue and mindless public officials that request or give the go-ahead for the frivolous institution or defence of litigation, is going to play an increasingly important role in South Africa’s raging war on impunity. There is no case in which this is more relevant, than the criminal defence of Jacob Zuma, and the litigation wherein the National Prosecuting Authority, under the current guidance and instruction of Shaun Abrahams, continues to defend the decision to drop the 783 charges of corruption, fraud and racketeering against Zuma. 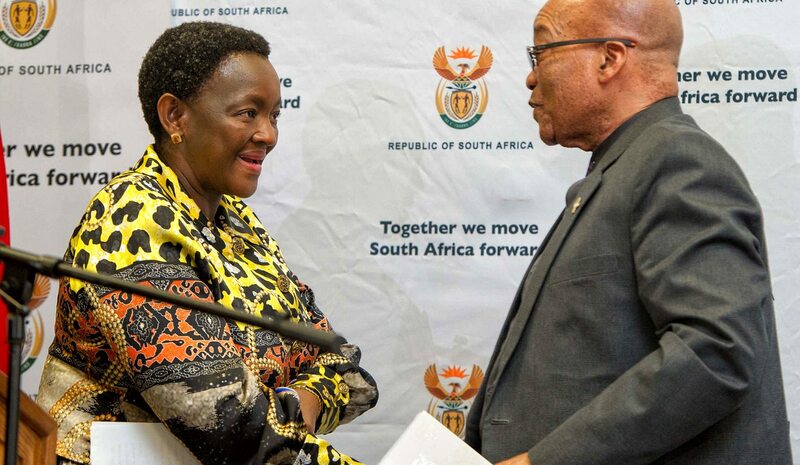 The reckless situation where the financing of Zuma’s legal costs is taken from the public purse has undoubtedly contributed towards Zuma’s ability to remain in power and play “musical ministers” and “whose downgrade is it anyway”. A recent breakthrough judgment handed down on 5 April 2017, by Judge Pillay in the High Court in Durban (Westwood Insurance Brokers (Pty) Ltd v Ethekwini Local Municipality and others), provides a vision for the development of accountability roadmaps in the ongoing war on impunity. In this mouthwatering judgment, Judge Pillay slapped 50% of the legal costs order on various mindless public officials in their personal capacity, who blindly approved a clearly non-compliant tender for water leak insurance on behalf of the eThekwini Metropolitan Municipality, and persisted in their attempts to frivolously defend the manner in which they approved it. This is a welcome development, after the Constitutional Court previously overturned a personal cost order made by the South Gauteng High Court, in June 2016 in the matter of MEC for Health, Gauteng v Lushaba. The Constitutional Court in MEC v Lushaba had no choice but to overturn the cost order against various public officials responsible for the vexatious defence of the litigation, when there were clearly no reasonable prospects of success, as the responsible officials had not been joined as parties to the litigation and thus not been given a fair opportunity to state their cases. This was a legal gaffe rather than a precedent-setting case. These mistakes were very carefully avoided in the eThekwini case, and the correct process was followed to ensure that all those officials against whom the cost order was sought, would be given a fair opportunity to state their case, which they could not do compellingly. In the infamous “SABC 8” case, the trade union Solidarity has sought personal cost orders against those responsible for defending the litigation to have the journalists reinstated, after they were unlawfully suspended for refusing to obey unlawful instructions. The outcome of this relief will probably be made known later this year. The appetite for personal cost orders against rogue public officials is clearly, and rightfully, on the increase, and should quite frankly form part of the case preparation and design of all litigation against the state. The total amounts spent by the state directly defending the criminal charges and the civil proceedings related to the criminal charges have undoubtedly ballooned considerably, as the application to review and set aside the decision by the head of the NPA to drop charges against Zuma has been ongoing since then, and is now headed for the Supreme Court of Appeal at some time in the near future. At the end of this entire circus, the various State Attorneys that have authorised the payment of legal costs for criminal and civil proceedings to the undue benefit of Zuma, and the various NPA bosses, including Shaun Abrahams, having authorised the defence of the indefensible decision to drop charges against Zuma, will hopefully be ordered to answer and defend these reckless, if not fraudulent and corrupt, decisions. Their answers are expected to be “so bizarre that unsurprisingly even those who participated in making it cannot explain it”. If the personal liability exceeds the value of their legally declared estates they could be individually sequestrated for being unable to pay the judgment debt pertaining to the cost orders. Ivan Herselman is an admitted advocate, the former director of legal affairs at OUTA and currently a director of Argumentum, a legal consultancy practice specialising in accountability law.